A spectator chooses a time from one to ten seconds. 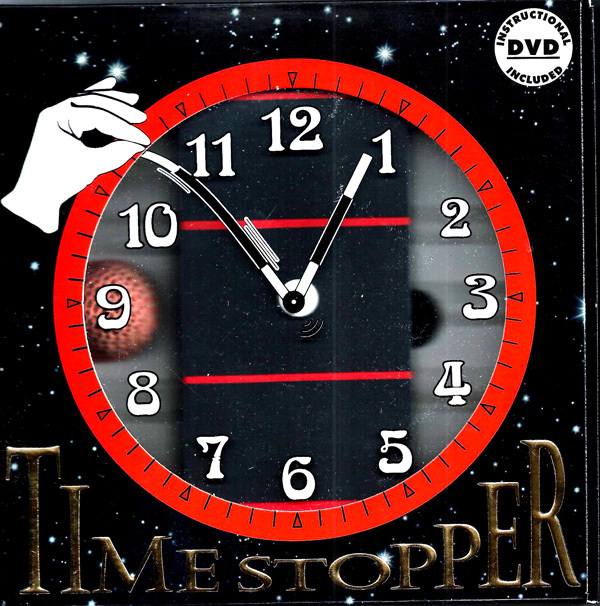 The magician shows a prototype of his “Time Stopper” which is a square tube. He sets the time by pressing a button on the device. A small ball is dropped into the tube, but does not pass through. The tube is turned upside down. No ball! When the number of seconds is counted down , the ball falls from the tube . Ball and tube are handed to the spectator, who cannot duplicate this. Entirely under your control. No electronics or batteries necessary.